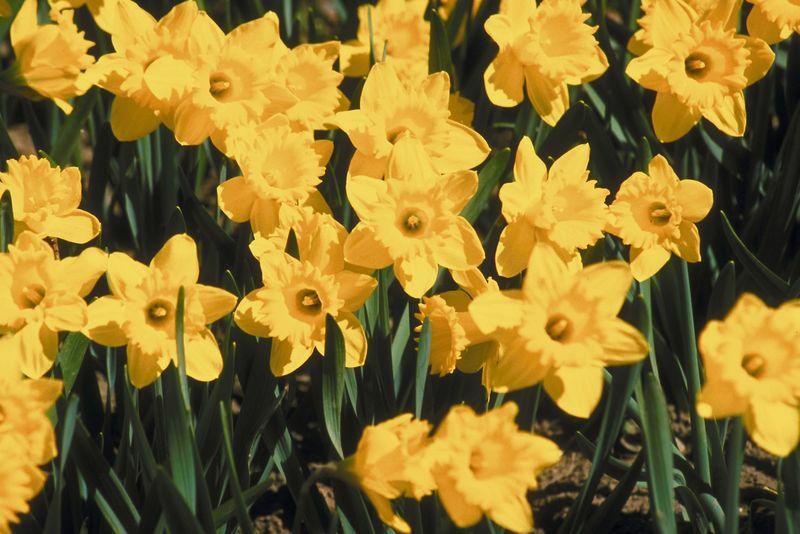 If the idea of a splash of color in your flower beds in spring sounds good to you, then consider planting your daffodils and tulips in the fall. Even though the official start of fall is upon us, this is a great time to start thinking about spring flowers in your landscaping. Spring bulbs are almost a guarantee for bright and vibrant color with very little effort. It is recommended that bulbs be planted in late October to November when the ground cools off from the hot Georgia sun. With advance notice you will have plenty of time to purchase bulbs and install them or contact Hutcheson Horticultural for a professional design and installation. The floriculture and design team loves to plant and install the seasonal color that gives amazing curb appeal to homes and businesses. If you prefer to do the planting yourself, we’ve got some planting tips to help. Remember-Make sure you don’t forget where your bulb plantings are. You can mark the spot with subtle ground markers that are usually provided by the retailer, or you can plant something in the same spot with shallow roots. Bunches-Make your plantings look natural with groups of bulbs planted together. This provides a fuller and more natural look. You can either dig an area to plant multiple bulbs in together, or be more creative in arranging spaces to plant bunches of bulbs. Proper Care-When the spring sun hits and the flowers grow and bloom, make sure you cut the stalks back down to ground level with the flowers die. It is important not to cut them down before they die as they need to complete the entire lifecycle. Contact Hutcheson Horticultural regarding a free consultation of seasonal color design and installation or any of our landscaping services call us at 770-924-1001.